If you’re searching for a caring and professional Vet in Sawtell and Toormina, look no further. From the beautiful fig-tree lined First Avenue, right around Lyons Road and Toormina Road, we’re regularly treating pets from Sawtell and Toormina bought to us by owners seeking the best Vet in Sawtell and Toormina. We treat every kind of pet, from all breeds of dogs and cats, through to birds and rodents, everyone’s welcome. 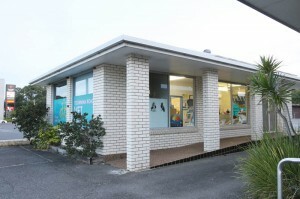 In fact, at Rose Avenue Vet Hospital and Toormina Road Vet Clinic we’ve been doing it for over 20 years. Firstly, at our clinics, our friendly and helpful staff always strives for clinical excellence. And secondly, our facilities are custom built to provide your pet with the very best in modern veterinary medicine. But most importantly to you, our team is here to provide YOU with options and advice at every step of your pet’s healthcare. We understand that every animal is different, but we also understand that every owner and circumstance is different too. Above all, we promise to always listen to you, and help you find the best way of looking after your pet. You’ve found the best ‘Vet in Sawtell and Toormina’ but why use us? At both Rose Avenue Vet Hospital in Coffs Harbour and Toormina Road Vet Clinic, we strive to provide outstanding caring service combined with state-of-the-art facilities. Listed below is our full range of services. Although your pet may appear to be healthy, regular pet health checks and pet vaccinations are very important. A thorough vet check by our Coffs Harbour or Toormina vet clinic may spot problems in the early stages before they become much bigger, and more expensive, problems. With over 20 years Veterinary experience in Sawtell and Toormina, call us today to find out how we provide the best veterinary service for your pets.